Brogan Brunt fits a front leg. 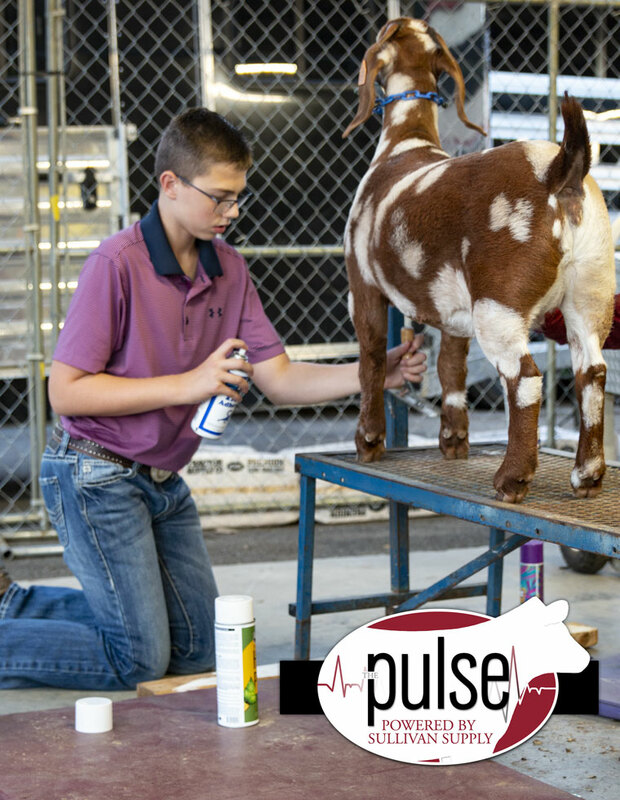 Logan Hollen and SJ Goodwin know team work makes the dream work when it comes to a fitting contest. Ashley Poling clips a back leg. 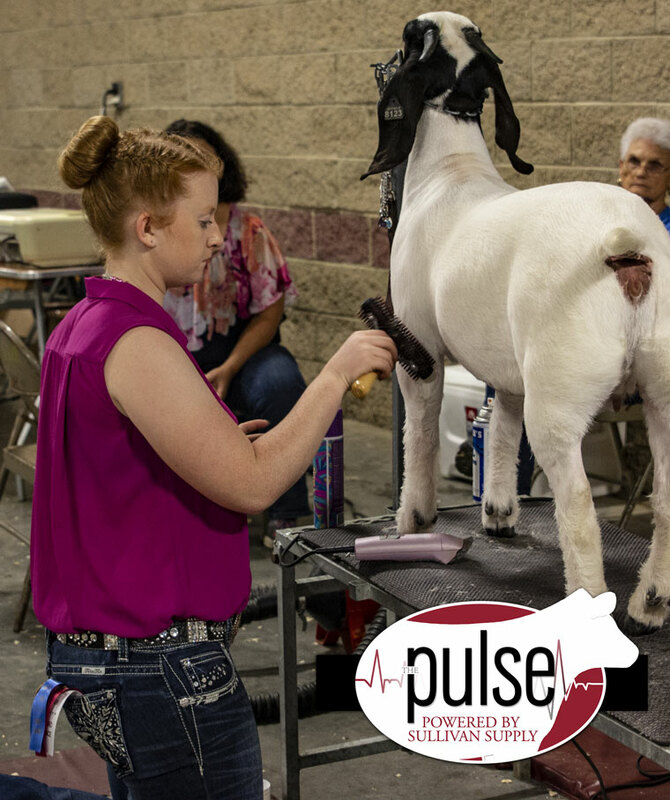 Logan Hollen uses a Sullivan’s Mini 360 Brush to put the finishing touches on her goat. SJ Goodwin uses Sullivan’s Powderful when fitting a back leg.